Catching one of the very few passenger trains to still run in South America, requires some pre booking as it only runs four times a week. Two trains going north and the other two south. Sadly we were travelling the wrong day to catch the train from Uyuni to the border town of Tupiza. Instead we opted for the early 6:30am bus, that was advertised to take 6 hours straight to the border. What the old lady didn’t tell us when we booked it, that we would waste over an hour waiting in town no less than 2 hours away. She also fibbed about how frequent the buses run from the border into Argentina. Another 4 hour wait!!! Salta is the first large city in Argentina from the border and a good place to spend a day or two to take it easy. There is a more western influence here, the population is much less indigenous compared to Bolivia. Also the first city in South America where there appears to be a Highway Code. The city is one big grid system, with traffic lights only at the big junctions. Drivers quite happily give way to each other, it all terribly civilised. 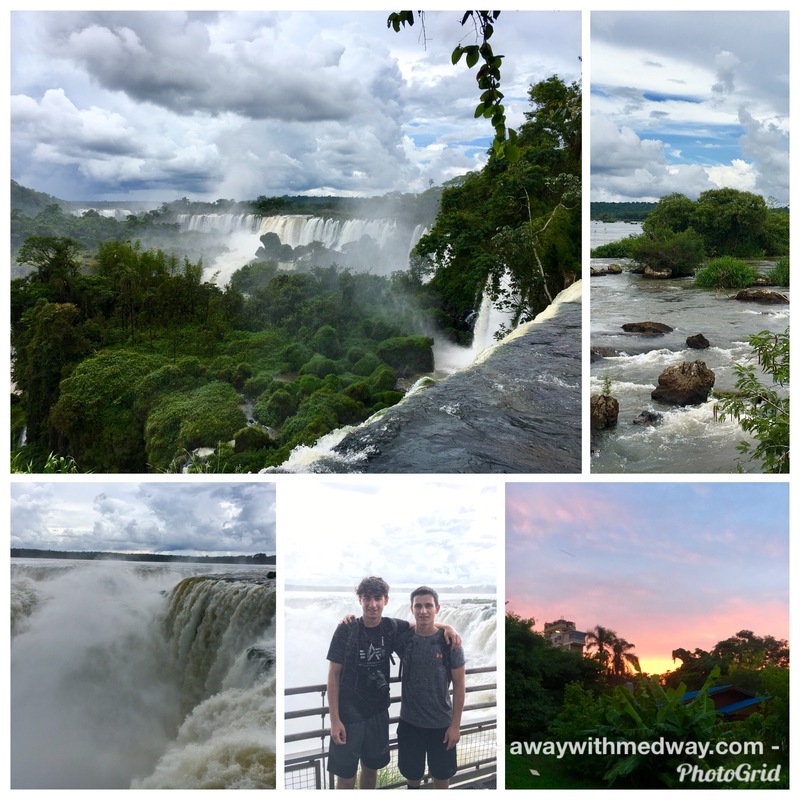 My original itinerary would have taken me South to Rosario and then back North to the Iguazú Falls. Which would have taken days and days. Instead I found out you could go direct from Salta, or via Corrientes for a nights stop over. Gaining back a few days, I decided that it would be nice to see another city. The thought of 22 hours travelling again was not something I wanted to do again so soon. 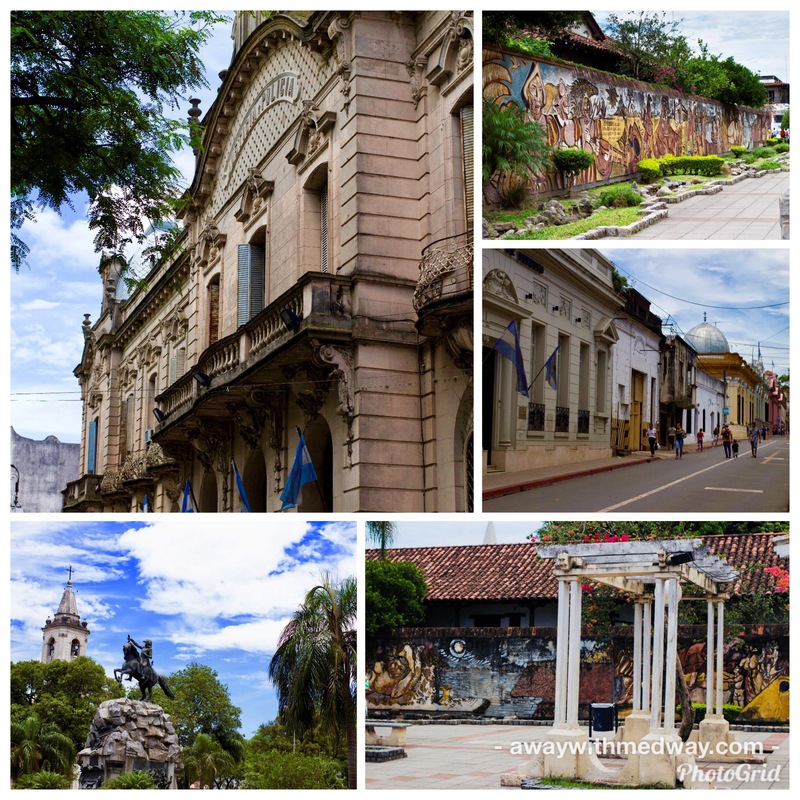 Corrientes is a beautiful city built in the banks of the Paraná River, old colonial buildings adorn the main squares in the centre, with a large shopping district to the East , while bars and restaurants follow the river line for quite some way. Corrientes is known for its heat and humidity in summer months of January and February. It is also host to Argentina’s biggest carnival, where people from all around the country descend on the city for a week of parties. Our first night we had planned to get drunk and go to a club. We actually ended up playing drinking games in the room and doing what all kids did today. Send snapchat messages of our antics. There was some hard slapping of the face and all manner of fooling around. A normal Friday evening in Corrientes is sat with your friends on the banks of the river, with your cool box stuffed with drinks and food. While music plays out of the back of your car parked right next to you. Often competing with the car and group just a few meters away. Toilet breaks are a short walk to the side of the river and the local shop does roaring trade in keeping the cool box full of booze. Curfew I am told is at 5am. 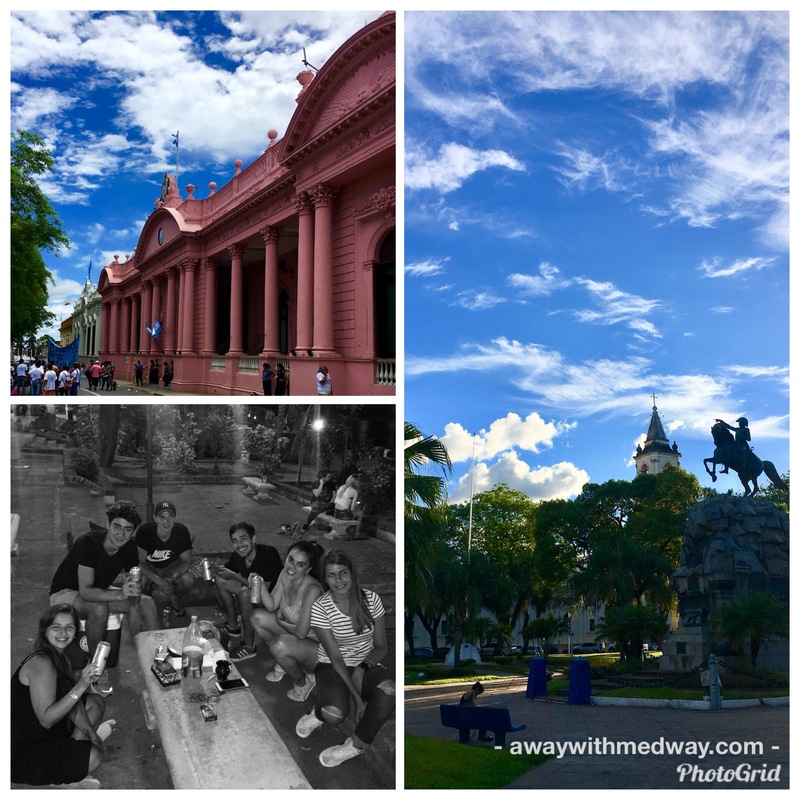 We decided to continue partying through to the early hours of morning and go straight to the bus station for the 7am departure to Puerto Iguazú. This did not make me the most cheery of travelling companions thats for sure. Trying to avoid the expensive mass market offering for dinner we consult trip advisor and head for Gela Guela to try out a local dish. A mound of fried beef on a plate with, chips and a variety of dipping sauces. The following day was a leisurely start with a slightly improved hostel breakfast than the usual stale bread pancake you get. There was a real bread roll and even a cake. It’s a short walk to the bus station to get the bus to the falls. The bus is pretty regular and easy to find and costs 150AR/£3.90. 30 minutes later and we have arrived. Tickets for adults are 500AR/£13.17, but there is the choice to take the guided tour that includes a boat to the bottom of falls for 900AR/£23.70. We opt for the normal entry and the 4 to 5 hour walk around the three different routes that are available to see all of the falls. 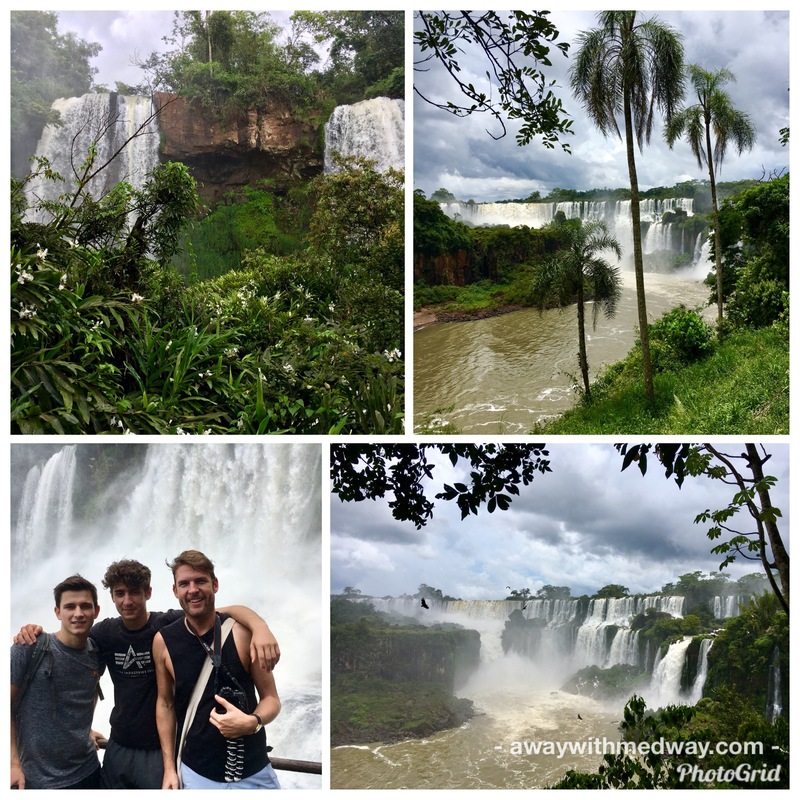 Since arriving in Iguazú the weather has been at best, moist. Wishing for the sun to shine, we had to contend with the clouds and humidity. The first walk takes us along the perimeter of the river, and give us a view of the falls that just gets bigger and bigger the further we walk round. We take every opportunity to stop for the photos and the need to cool down, I’ve not known humidity like it. Thankfully we get quite close to the bottom of one end of the falls and feel the spray cover us and cool us down. Next we climb up the steps to a platform that crosses above the gushing water so we are now walking above the falls. We see for the first time the expanse of the massive Iguazú River that feeds these magnificent falls. It was enormous and went on for ever. Following the footbridge across the river towards the mouth of the falls, the clouds were getting darker and rolling in quickly. Arriving at the main platform, the sight of the gigantic river just fall off the cliff into a hole as wide as the Canary Wharf Tower is tall, is mind blowing. Having got wet by the spray, the clouds decided to pour rain down that was so heavy every last little part of my body and clothing was soaked through. It was a fun end to a fantastic day.